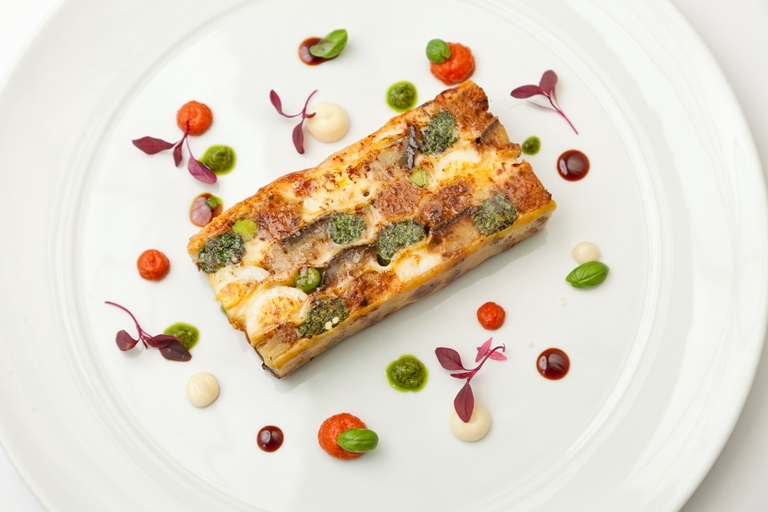 Francesco Mazzei's lasagne pastachina recipe is little bit special. Layers of spinach and ricotta, veal and beef mince, quail egg and a unique nettle pasta are among the delights nestled in this multi-layered dish. He uses mosto cotto, a thick, tangy syrup made from reduced, aged grape juice (used in a similar way to balsamic vinegar), to add to its appeal.